If you are like me, you’re catching up on posts from the holiday weekend. My Google Reader was pretty full this morning. I saw the doctor for a follow up on my IT Band. Michael and I went snowshoeing on Mt. Hood. I had a great New Year’s Eve dinner. I started my Portland Century Training. And….I stepped on the scale (always a fun time, right?). First I’d like to say hello to new readers who have stumbled onto my website looking to start their New Year’s Resolutions. 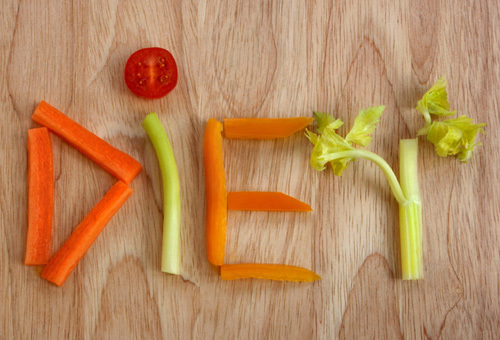 Many people set a resolution to “lose weight,” “get fit,” “get healthy.” Those are all great goals for the new year and I hope the new readers check out my website for tips and ideas. If you are a new reader, take a moment to read how I lost 110 pounds. My “Best Of” Page will also help you navigate the website. This is also a great post to help you catch up on how I’ve been maintaining my weight loss. I recently finished reading “I’m Off Then: Losing and Finding Myself on the Camino de Santiago” by Hape Kerkeling. The story is about 36 year old Hape–a pudgy couch potato who suffered from a lot of health problems–who decided to hike the Camino de Santiago. 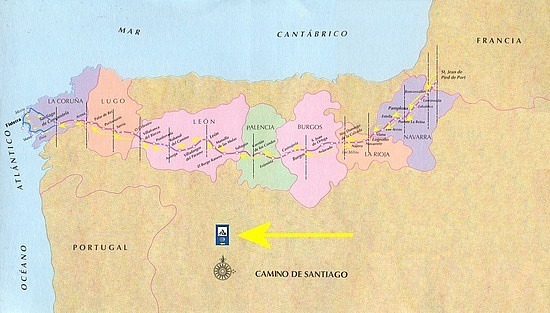 The Camino de Santiago is a 500 mile route at the base of the Pyrenees to the shrine of St. James in Spain. The route is a sacred thing that Christian pilgrims have trekked for centuries. There are nearly 40 stops along the way where Pilgrims can get their passport stamped at official hostels. His journey was really interesting to read. I’m not religious but I have always been fascinated by Pilgrimages of any religion. I was always interested in doing my own Pilgrimage or Vision Quest. Someday I will. What I think is most interesting about this book is that he was ill-prepared for most of the things that happened on his pilgrimage. He started out on the path without enough water, quickly learned his lesson from that, and tried to walk too much in the beginning so that he got blisters and could barely walk for days. He had the wrong gear, the wrong boots…But in the end he conquered all of his fears and prejudices. This can apply to anything I believe. There are a lot of emotional and physical highs and lows with losing weight. It can be extremely discouraging to get stuck in plateaus. It can also be super uplifting to break out of those plateaus or reach a landmark in our journey! If your Resolution was to lose weight in 2011, you’re probably currently in the “high.” You feel motivated, super enthusiastic, maybe you got new workout clothes or running shoes and you’re excited to try them out. Maybe you joined the local gym and forked over a lot of money to go. For the next month you’ll probably still have that “New Year’s Resolution Glow” about you. Around February the glow might start to wear off. The idea of getting up early before work to hit the treadmill, or going in the evening when it’s dark and cold (and the gym is crowded) isn’t as appealing. My advice is this: STICK WITH IT. Every year I see this happen. January 1st brings throngs of new people to the gym but by February or March the gym thins out and who remains? The committed regulars that work out as much as I do. It’s easy to get discouraged but don’t let that happen this year! 2011 can be the year you make a change in your life! That really spoke to me because it’s a topic that can be related to just about anything in my life. Specifically, it applies to my weight loss journey. I had to decide every single day that I woke up that I was going to make GOOD choices. Each day is a different challenge, a different opportunity to make good or bad choices. Each day I have a choice if I want to live a healthy life, or slip back into my old ways. I could beat myself up for overeating, indulging, slipping into old habits and eating too many treats…in fact I’ve beat myself up for those things more times than I’d like to admit. I’ve gotten better in this last year. I realized somewhere along the line that I won’t gain back all my 100 pounds with one slip up! I do have anxiety once in awhile about gaining back my weight. I think that’s normal. But each day that goes by that I maintain shows me that I Can Do This. My final thought: 3 weeks from now, 2 months from now, whenever you’re feeling like giving up on your New Year’s Resolution think about what you really want in life and KEEP TRYING! QUESTION: How are you going to transform your life? Lisa – My big thing right now is losing weight. I joined Weight Watchers and plan to lose 56 pounds and become a Life Time Member. I hope I can do it. So far I’m down 7.6 pounds. Just started 12-9-2010. Great job! I think WW is a great plan. I hear nothing but good things about it from friends. Thanks for this post. I’ve been reading your blog for a while, always with the “I wish I could do that” mindset. Today it occurred to me that I can do that…and will! Thanks again. I love travel books too. Under the Tuscan Sun? Man, I want to go to Tuscany now! I have to read this book! My transformation is all about finding my passions and pursuing them. I want to live my life to the fullest and only do things that make me happy! That’s great Jennifer! I’m stumbling along trying to figure out what my passions are! This gave me some inspiration I need today – seems I have the feeling of giving up because it seems that I’m not losing as much as I want to. I’m so glad I could inspire you! Don’t give up!